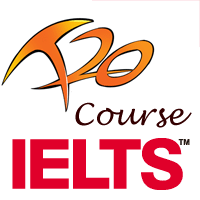 Welcome to the new and improved IELTS Twenty20 course! We believe that almost all the knowledge needed for preparing for IELTS is already available on the web. All you need is someone to guide you to it in the proper sequence and provide the right context and feedback. And so, we created IELTS Twenty20 - Online IELTS Course, to make it easy for anyone to follow simple learning pathways to the best IELTS resources available online to prepare for the IELTS exam. IELTS Twenty20 is an Online IELTS Course that offers a convenient way to prepare for the IELTS Academic Training & IELTS General Training tests. IELTS Twenty20 Online Course have been hand crafted by experienced IELTS teachers and IELTS test examiners and has been highly successful in helping over 1000 students succeed in the IELTS test. Click on the FREE lessons below to get started NOW! Over 100 IELTS Playlists full of interesting videos, audios, pdfs and webpages. Step by step daily IELTS study plan. Unlimited writing & speaking task assessments with feedback and scores. 100% online interactive IELTS preparation course covering all IELTS modules. No Travel, no Hassle. Flexible schedule - Study when you want, where ever you want, from any device. Go as fast or as slow as you like. Systematically introduced tips, question types, answer strategies to help you improve your IELTS score. New candidates taking the IELTS Academic Training or IELTS General Training tests worldwide. Don't leave your friends behind. Tweet & share IELTS Playlists with them. In one of email conversations, you have mentioned that you provide 4 full length Listening and Reading practices with 1 month package but I don’t see them. Where do I find the full length practice tests for Listening and Reading? I’ve just sent you an email regarding the tests. I sent you an email, waiting for your response. Have you got my topic answer sir? Plz let me know.i am excited to know my level. Yes I have. Will send you the feedback soon. Do you have a demo or trial writing & speaking check to help evaluate membership effectiveness before buying the membership?